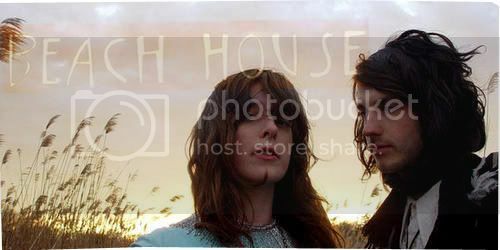 The thing that really intrigues me the most about the Baltimore dream pop duo, Beach House, are the images that people are able to paint out when listening to their music. 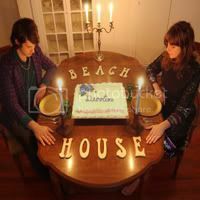 The music of Beach House is more eerie, dark, and pastoral, rather than soft and delicate, although the latter may still apply. The first single of their latest album, Devotion, entitled ‘Gila’, is ghostly and exquisite, music that sounds so stark and beautiful, bringing to mind a bare room half-lit by a soft glow. First time listeners to this kind of tunes may find it hard to like, but the easiest way I’ve found, in letting yourself immerse in the music of Beach House is to focus on the melodies that’s stunningly constructed by the heavily reverb guitar lines, underscored by the hazy organs. At one point, both the instruments merge (correct me if I’m wrong), producing a sweetly delighting tone draped in a shimmering ambiance. It manages to bring a sense of nostalgia through the lo-fi quality, interlaced with transfixing tones that’s intended to lull you, especially during a dreary, cold, and damp weather. In our language, ‘Gila’ means crazy, but I don’t exactly know what the band is referring the word to in this song. Your guess is good as mine.